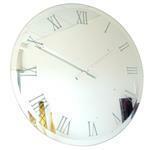 At Roco Verre we are always looking for ways to innovate and evolve our ranges to offer the best product of its kind on the market. 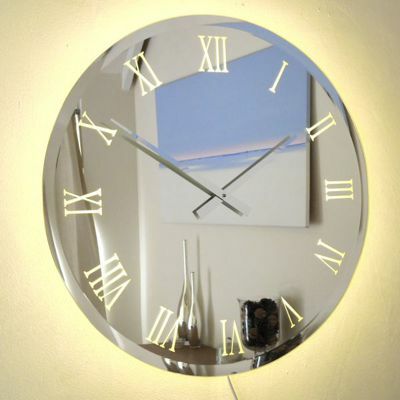 To this end we have created a unique new version of our bestselling Bevelled Roman Mirror wall clock to incorporate halo illumination back lighting. 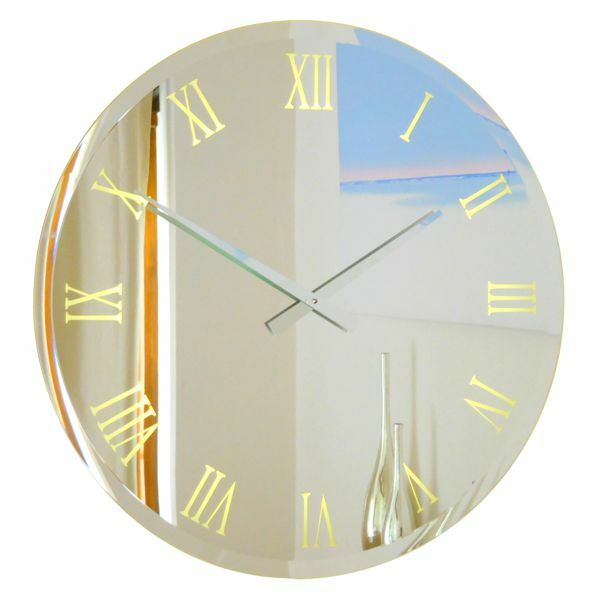 The result is a stunning time piece that not only works as a statement wall clock (and a mirror) but also as a wall light! 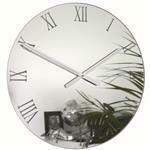 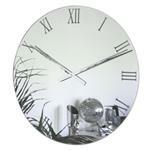 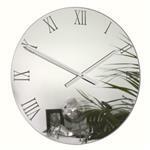 This new edition of an iconic wall clock is available in two sizes at 65cm and an impressive 85cm diameter. 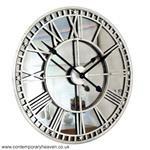 The clock features etched Roman numerals, a bevelled polished mirror surround, polished chrome metal hands and a Hi Torque quality German clock movement with integrated hanger in a wooden back plate. 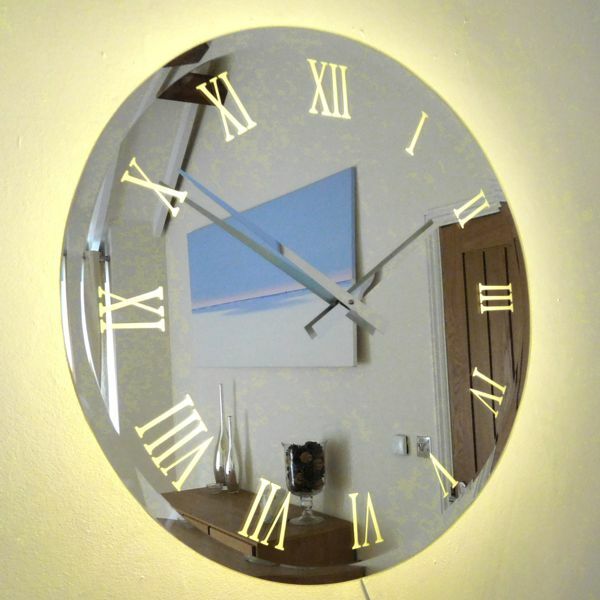 The led back lighting consists of over 50 small warm white 12v 3000k 4.8w (50w equivalent) LED lights which are integrated into the wooden and acrylic back. 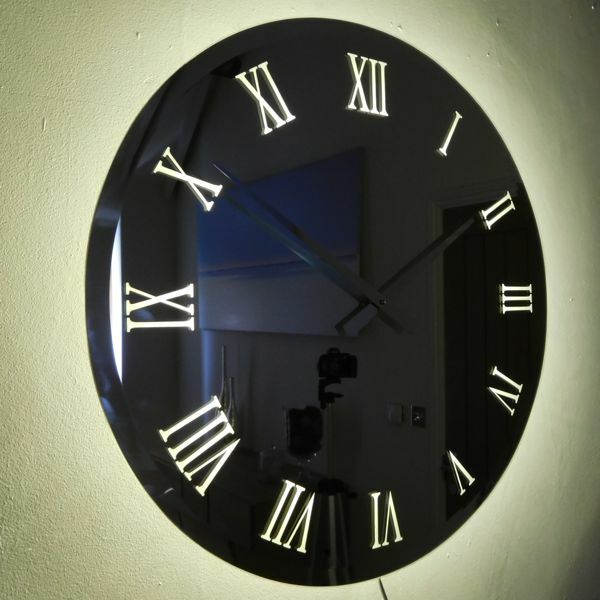 The LED’s beam light 360 degrees around the clock causing the etched roman numerals to glow and forming a stunning halo on the wall behind the clock. 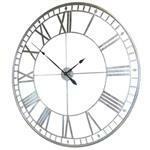 The clock comes with a 12 volt transformer, 1 meter black cable and we supply a 3 meter white extension both of which can be plugged into the back of the clock. 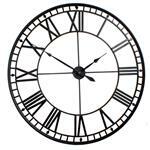 The cable can exit from any part of the clock enabling it to be powered from above, below or behind. 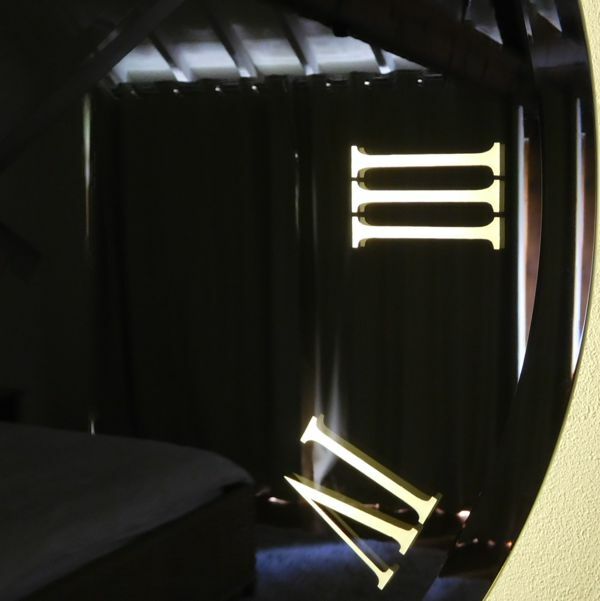 We would recommend fitting D section trunking to hide the cable which can be painted to match your wall for a seamless look. 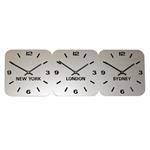 For a show stopping centre piece on any wall in your house these exclusive clocks will add a luxury wow factor to your home as well being the ultimate multi-functional time piece!! 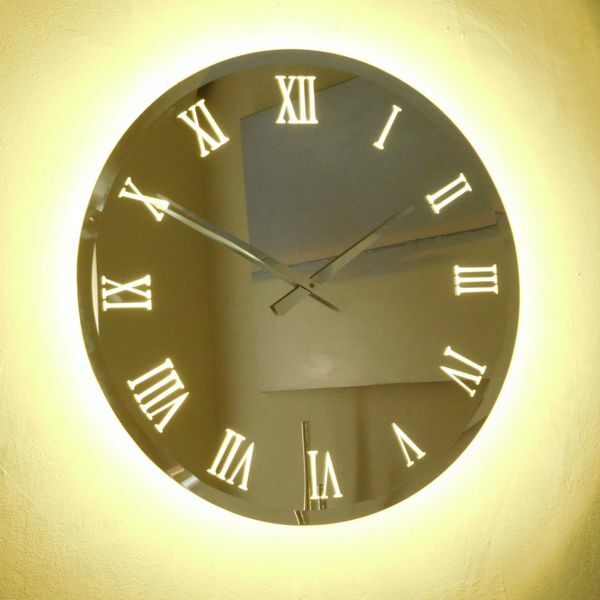 LED lighting requires the clock to be plugged in. 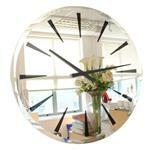 well made clock. 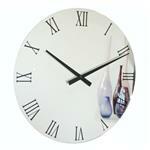 Easy to fit and very contemporary look.